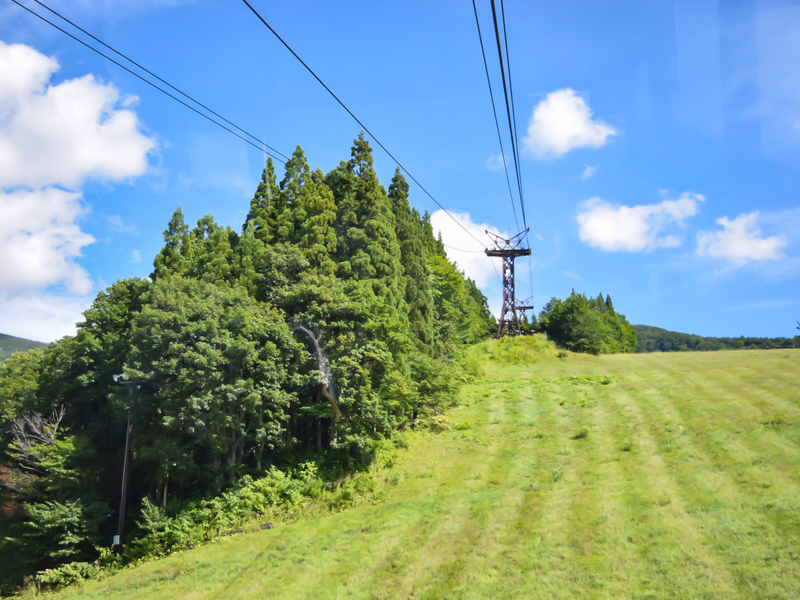 The Zao Ropeway consists of two cable car lines that link the foot of Mount Zao (where the Yamagata city hot spring can be found) to the summit of Mount Zao. The Sanroku line connects the foot of the mountain to the rime-frosted Juhyo forest, and the Sancho line connects the forest to the summit. The Zao Ropeway sees all kinds of visitors, with winter attracting those who want to ski and view the rime-frosted trees, and summer bringing mountain-climbers and tourists.